Video has long been a part of internal communications strategies but now more than ever, this channel of communication is exploding. We all stream video on YouTube, Vimeo and Netflix daily. In fact one third of our time online is now devoted entirely to video so it is the ideal way to meet employees where they are. Video has the power to simplify complex strategy, engage employees emotionally and to train and educate workers in a location and at a time that suits them. We’ve combined our skills in training, consultancy and video production to help the team towards their video goals. In 2016 we trained the internal communications team in DSLR video production before their annual award ceremony in Brighton. On the day of the event we coached them as they interviewed the award nominees and winners and also filmed the full awards ceremony ourselves. We then edited two highlights packages for them, to be shared on the company intranet as well as training staff in the basics of video editing so they could make short videos to promote the event the following year. We worked in partnership with the team again at their annual Leadership Conference and then again at the 2017 annual awards. By this time the team were more confident in their video interviewing skills. We provided support in this as well as recording the main events on the stage, streaming highlights direct to the company app on the night, and editing a highlights package the following week. Employee engagement rocketed as a result of the live video shares and it was the perfect way for the communications team to generate interest in their newly launched app. With the convenience of distributing content online, video is an obvious way to spread important training messages without costly workshops and seminars. Video has the added bonus of enabling repeated viewing so your initial investment has a long-term impact on your organisation. 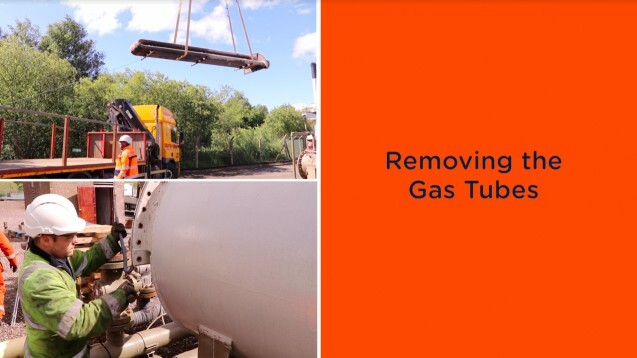 For SGN we’ve produced training videos covering a range of maintenance procedures, the introduction of a new site security system, and emergency procedures for engineers working with LPG tankers. Working on site filming live maintenance procedures requires careful communication between myself and the supervising engineer at the pre-production and filming stages to ensure I capture every step of the procedure while remaining safe. I also ensure excellent communication during the editing process to guarantee a final product that is 100% accurate and clear in its training message. The videos are now being used in the training of apprentice engineers as well being made available for experienced engineers to refresh their knowledge and skills. Very impressed with Emma throughout the process. Extremely helpful, professional and understanding in everything she did and the end product looks great. When I train communications teams in video production I always stress the importance of building a bank of video footage. If you’ve completed a video keep the extra footage so you can squeeze the full potential out of it later. Equally, it’s sometimes worth filming large events or projects even if you’re not sure what final video you want because you can always find a use for the footage later. This induction video we produced for SGN is a perfect example of why this is important. 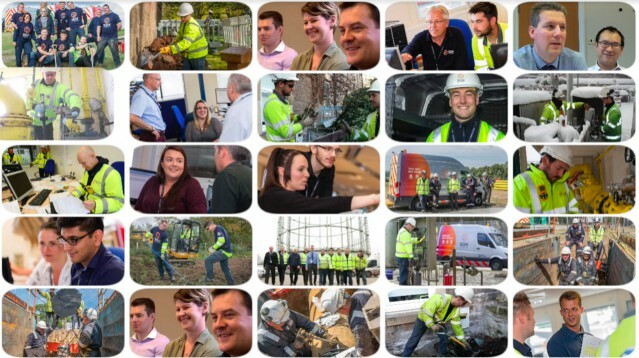 SGN wanted a short high energy video for employee induction to showcase staff diversity, job range within the company, and the network’s geographical reach. I edited the video using footage I had previously shot for SGN myself, archive video footage and photographs they had on file, and maps of the company regions. I added motion graphics to some of these elements, created video and photo walls, cut a fast edit, then added music and a punchy voiceover to deliver the complete 360° virtual tour that the Communications and HR teams were after. Another example is the Old Town Project I filmed. The original aim was simply to document this huge project on Edinburgh’s Royal Mile. However just a few weeks later I was asked to edit the footage into a 2-3 minute montage with music to be played in a loop at an event for VIPs and stakeholders. The video was well received by the guests at the event and was also shared on the company’s internal app. The footage of course was also re-used in the staff induction video described above. So the investment in that original video shoot has had far-reaching returns. Thank you very much for the video! It was fascinating and really puts into context the scale of the work that was undertaken. 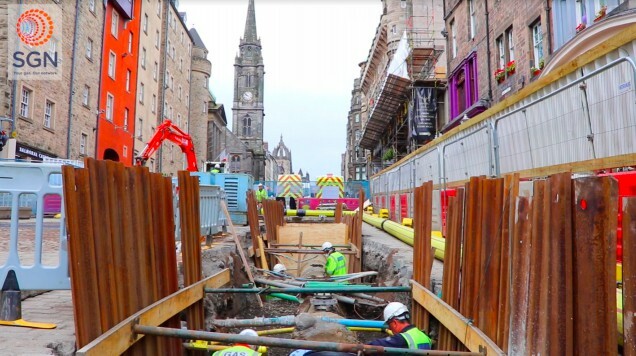 It was great to see the precision engineering, the “bypass” yellow pipework, the resources involved then the rendition of the roadway for the cyclists in the time lapse. Absolutely fascinating and I enjoyed it tremendously. To discuss video production for your business, use the contact form.